Advocating for an end to corruption and increased transparency and accountability is demanding at the best of times. It’s even harder if you are in a scandal prone, poor African country with weak governance like Malawi where I live. Topics like transparency are always a hot potato. And it’s even harder still if you are an African business trying to compete in the government marketplace. It can directly lead to retaliation and threats. This is something I have learnt the hard way. In 2013, the infamous Cashgate Corruption Scandal was uncovered involving looting, theft and missing money that happened at Capital Hill, the seat of my government. At its heart was the misuse of an electronic payment system to pay over $32m to companies for goods and services that they didn’t provide. Against this background, it’s not surprising that most private sector stakeholders have kept a low profile in the battle against corruption. For the past nine years, I have worked with CoST – the open contracting in public infrastructure programme that involves governments, industry and civil society to ensure better value from public infrastructure. I have spent six of these years as the Chair of the CoST Malawi Multi-Stakeholder Group (MSG), made up of government, private sector and civil society. The Group provides a neutral platform where these key stakeholders can pursue shared objectives to improve the value and effectiveness of public infrastructure. 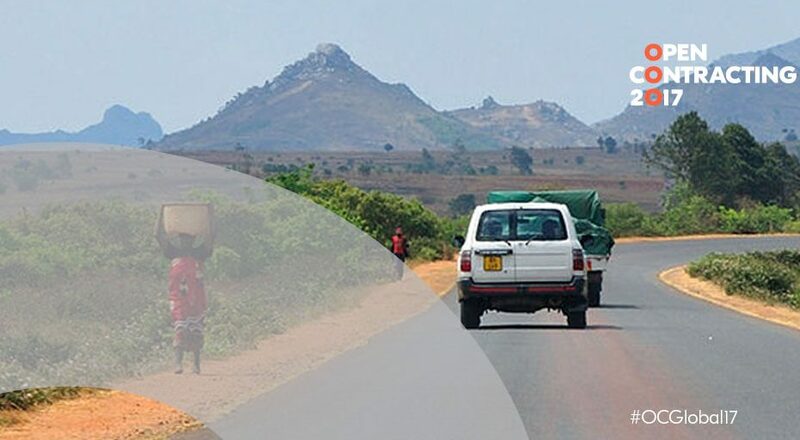 In Malawi, our MSG have disclosed, validated and interpreted information from over 60 public infrastructure projects using the CoST Assurance process. We have also developed innovative mechanisms that provide a lifeline for citizens reporting on infrastructure issues such as an SMS messaging service and public radio debates. In 2016, we were honoured to receive a 2016 Open Government Partnership Award for this work. We were delighted that CoST Honduras also received an Open Government award in 2016 for its citizenship training on its online data disclosure platform. These innovations make transparency count, by changing lives through better value infrastructure. The award is an encouragement rather than a conclusion for both countries. For nine years though, I have been the only industry representative on the CoST Malawi MSG. This alone highlights the general lack of enthusiasm in business to openly disclose information on public infrastructure. My involvement in the initiative has seen me labelled as a trouble maker, a thorn in the flesh. My business has been threatened: I have seen a decrease in contracts offered to my firm by government agencies and procurement entities. My fellow business peers frown at my persistence in championing transparency in the knowledge that doing so will hinder my economic prosperity. including cancelling some contracts and preventing wasted of public resources – allowing us to see the direct benefits of our work. And being able to point to impact counters the commonly-held views of politicians that CoST is a barrier to their prosperity. When I have faced threats and worried about risks to my business, colleagues and family members, I have reminded myself of what we have achieved so far and what we could achieve in the future. I think of my fellow business peers and how we can ensure fair competition where no business player will be disfranchised by clandestine dealmaking. I think of the ordinary citizen who will be empowered with not only basic information on public infrastructure but who will be given the courage to be able to stand up and ask questions. I think of the disadvantaged schoolgirl who will be able to learn in a decent classroom built on schedule using public funds appropriately. I think of the woman who will be able to walk a shorter distance to a maternity facility, a facility constructed through the proper procurement process, ethically and professionally. Malawi’s new Public Procurement Act provides a legal mandate for open contracting in public infrastructure in Malawi. It will mean a rapid increase in the amount of data disclosed to the public using the CoST Infrastructure Data Standard as a template, providing a basic framework for tracking how their taxes are invested in public infrastructure for the first time. At Open Contracting 2017, I look forward to working with CoST, Open Contracting Partnership and many others from around the world to share lessons and ideas and uncover what works. One issue I intend to raise is whether we are including all the right players in our engagement – I have seen the value of working with politicians, students, local councils and religious groups. Now I wonder how can we bring international institutions like the UN, EU, G20, African Union, NATO, Southern African Development Community and Maghreb into that dialogue and get them to show leadership and catalysis for our work? OpenContracting 2017 offers a great platform to put this issue on the agenda and for us to all work to put the answers into practice. My story is one that demonstrates that despite all the odds, it is possible for businesses to help improve fairness, openness and honesty in procurement and to support better infrastructure and service. Even with just one industry representative on the MSG of CoST Malawi we have had success, with increased backing from businesses and other core stakeholders our impact could be enormous.